Each and every one of us has the capacity to tap into an endless supply of inner peace and happiness. Modern Buddhism presents the meditations and techniques for training the mind that we need in order to achieve this. 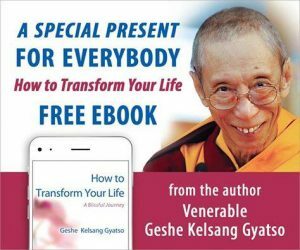 Gen Kelsang Gomlam will guide a meditation and give a short talk and give us a taste of what it is like to “choose happiness”. If you enjoy this meditation and talk, please feel welcome to check out our drop-in series Learning to Be Happy on Mondays, starting March 18 at the Urban Ecology Center at Riverside Park 6:30-8:00 PM. Everyone welcome!